He leads through the arid land / He frees from slavery and oppression / He promises a new world. He is great and sublime / He is incomprehensible and inaccessible / He is great in his Prophet. He lives in the depths of the world / He lives in every man / He is the fullness of silence. He is life in the trees / He is power in the father and in the mother / He is the soul of the world. He radiates Love / He gives himself up in goodness/ He overcomes death." An Irish Jesuit vocations promotion poster, 2011. Source. 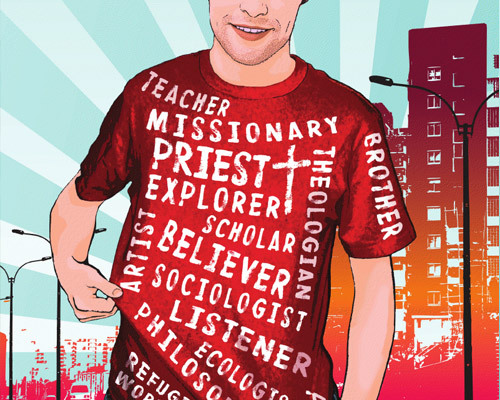 The main image in the Diocese of Derry's "vocations promotion" poster. Source. Today Saint Patrick’s College Maynooth, the National Seminary for Ireland, welcomed twelve seminarians who will commence their formation for the priesthood. At the conclusion of the ‘Introductory Programme’ at the end of September, three of the new seminarians from Northern dioceses will continue their studies at Saint Malachy’s College in Belfast. 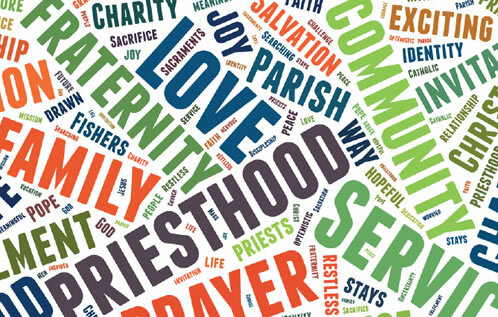 A breakdown, by diocese, of the twelve first year seminarians for 2012 is: Clogher (1), Cloyne (1), Down & Connor (2), Dublin (3), Ferns (1), Kerry (2), Meath (1), Raphoe (1). At the end of September the total number of seminarians in Maynooth will be approximately 64. Over the last five years the number of new seminarians beginning their studies in Maynooth has been: 13 in 2011; 10 in 2010; 24 in 2009; 14 in 2008; 18 in 2007. The final figure for the number of seminarians in the 2012 entry class will be confirmed in December after the students complete the class retreat and the ‘Introductory Programme’. Take note that 12 is not yet the final figure for the number of seminarians in the 2012 entry class; it can -- and most likely will -- still shrink. One reason for the failure of the Year of Vocations lay in the insipid marketing mentality which has come to dominate the Irish episcopal conference and its attendant bureaucracy. In common with the consumerist mentality of western society, the Irish bishops thought you could solve a problem just by throwing money at it and hiring some advertising consultants. Another reason lay in the campaign’s secular and naturalist presentation of the priesthood. The priest’s role of ‘service’ and ‘listening’ was heavily emphasized, but in such a way that priesthood was portrayed as just another career, entirely devoid of a supernatural character. I would suggest that the crisis in vocations has much deeper roots. Perusing historic ordination statistics for Maynooth, one is immediately impressed with the fact that the crisis in vocations goes back all the way to the 1960s. Ordinations at Maynooth peaked in 1963 when 558 new priests were ordained. The trajectory after that is unrelentingly downward. This is particularly dramatic in the case of Dublin. In 1962 (the same year the Second Vatican Council began its deliberations) 21 new priests from Maynooth (Note: Dublin also had its own seminary at Clonliffe until 2001) were ordained for the diocese of Dublin. By 1970, a mere eight years later, only 2 new priests from Maynooth were ordained for that highly populated diocese. The following year seen the ordination of just 1 priest, while no Dublin priests were ordained in 1972, a trend that continued until 1982 (when one Dublin priest was ordained). It seems somewhat curious that Archbishop Diarmuid Martin incessantly focuses on the defects (real or perceived) of the pre-conciliar Irish Church (which, for all its problems, certainly had no crisis in vocations) while largely ignoring the demise of his own archdiocese, which is (literally) dying off rapidly before our very eyes. Dublin contains over a million Catholics, yet Archbishop Diarmuid Martin can persuade only 4 Catholic men in his archdiocese to become a diocesan priest. Meanwhile a whole generation of clergy are passing with no-one to replace them. 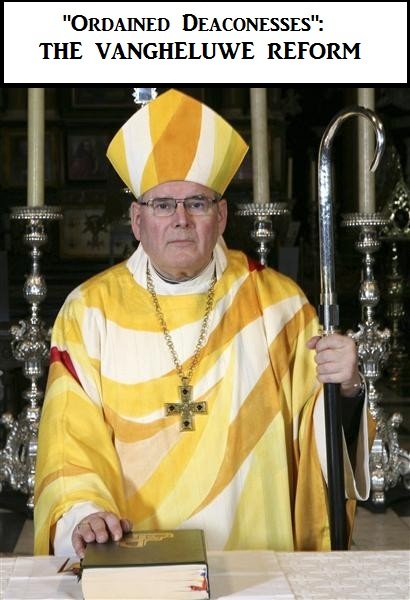 A bishop who cannot ensure enough recruits to sustain his diocese has failed. Alas, the renewal of Irish Catholicism that the Pope calls for is being implemented by the same men who have led us into this mess. I have never met with anyone who did not value his own judgment, except two persons who confessed to me that they had no judgment. And once one of these having come to see me, said to me, "Sir, I beg of you to tell me a little about such a thing; for I have no judgment to understand it;" which astonished me greatly. We have in our own age a very remarkable example of the mortification of private judgment. It is that of a great doctor, much renowned, who composed a book entitled, "On Dispensations and Commands," which, falling one day into the hands of the Pope, he judged that it contained some erroneous propositions. He wrote to this doctor that he should erase them from his book. 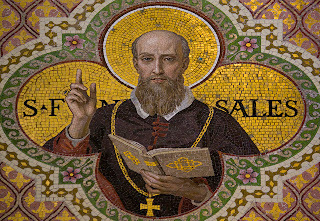 This doctor, upon receiving the order, submitted his judgment so absolutely, that he would not justify himself by explaining the matter, but, on the contrary, he believed that he was wrong, and had let himself be deceived by his own judgment: and, going into the pulpit, he read aloud what the Pope had written to him, took his book and tore it to pieces, and then said aloud that the Pope's judgment on this matter had been most just; that he approved with all his heart of the paternal censure and correction that he had deigned to give him, as being very just, and very mild to him, who deserved to be severely punished, and that he was greatly astonished how he could have been so blind as to let his own judgment mislead him in a thing so manifestly wrong. He was by no means obliged to do this, because the Pope had not commanded it, but only that he should strike out of his book a certain thing which had not seemed good; for what is very remarkable, it was not heretical, nor so manifestly erroneous but that it might have been defended. He showed great virtue on this occasion, and an admirable mortification of his own judgment. One often enough sees the senses mortified, because our own will is employed in mortifying them, and it would be a shameful thing to show ourselves rebellious against obedience; what would be said of us? But one very rarely finds the judgment well mortified. To make ourselves allow that what is commanded is good, to love it, to esteem it as a thing that is good and useful for us beyond all others, it is against this that the judgment rebels. For there are many who say, "I will certainly do as you tell me, but I see very well that it would be better otherwise." Alas, what are you doing, in thus fostering your judgment? No doubt it will intoxicate you; for there is no difference between an intoxicated person and one who is full of his own judgment. 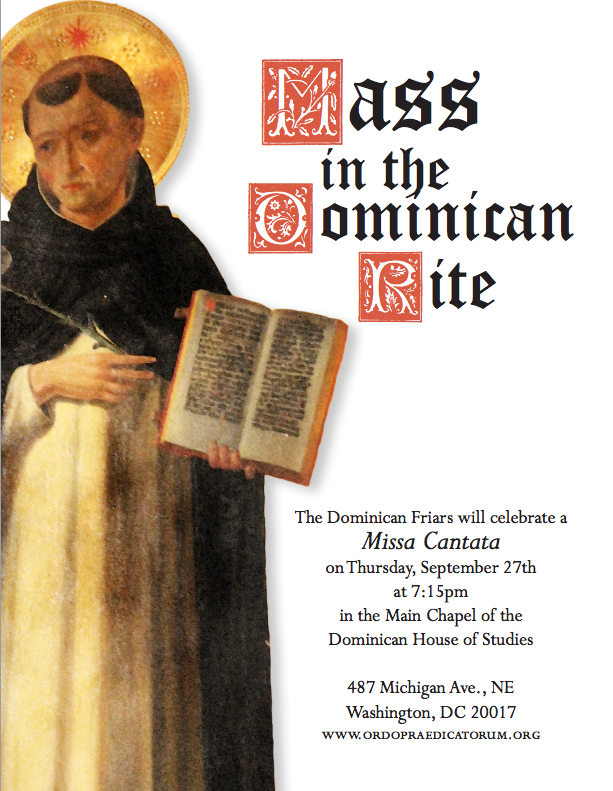 Dominican rite returning to Washington, D.C. Followers of the Order of Preachers in the U.S. have observed a curious situation over the past decade, where many young conservative and traditional-leaning men have been joining the Dominicans in Washington, D.C., while the use of the Dominican rite has largely been on the west coast. That is finally about to change. Mass in the Dominican rite will be offered in the main chapel of the Dominican House of Studies in Washington, D.C., starting with a Missa Cantata at 7:15 p.m. on Thursday, 27 September 2012. From an interview granted by Cardinal Walter Brandmüller to Vatican Insider and published today. The last answer, on the liturgical revolution that should never have happened and destroyed the organic evolution of sacred worship, is particularly relevant. The Second Vatican Council was a Pastoral Council that also provided dogmatic explanations. Had there ever been anything like it previously in the history of the Church? [Brandmüller:] It does in fact seem as though Vatican II marked the beginning of a new type of Council. The language that was used during it and the completeness of the texts show that the Council fathers was not as much motivated by the need to pass judgement on controversial new ecclesiastical and theological issues, but rather by the wish to turn their attention to public opinion within the Church and the entire world, in the spirit of the annunciation. [B:]This is one of those cliché questions that stem from a new existential sentiment; that feeling of confusion that is typical of our times. But what is fifty years after all?! Cast your mind back to the Council of Nicaea in 325. The disputes surrounding the dogma of this Council - about the nature of the Son, that is, whether he was made of the same substance as the Father or not - continued for more than a hundred years. St. Ambrose was ordained Bishop of Milan on the occasion of the fiftieth anniversary of the Council of Nicaea and had to fight hard against the Arians who refused to accept the Nicene provisions. Briefly afterwards came a new Council: the First Council of Constantinople of 381 which was deemed necessary in order to complete the profession of the faith at Nicaea. During this Council, St. Augustine was given the task of dealing with requests and fighting back heretics until his death in 430. Frankly, even the Council of Trent was not very fruitful until the Golden Jubilee of 1596. It took a new generation of Bishops and prelates to mature in the “spirit of the Council” before its effect could really be felt. We need to allow ourselves a little more breathing space. Let us talk now about the fruits which the Vatican II produced. Can you comment on this? [B:] First of all of course the “Catechism of the Catholic Church” in comparison with the Tridentine Catechism: after the Council of Trent, the Catechismus Romanus was launched in order to provide parish priests, preachers etcetera with guidelines on how to preach and announce the Gospel or evangelize. Even the 1983 Code of Canon Law can be considered a consequence of the Council. I must emphasise that the form of the post-conciliar liturgy with all its distortions, is not attributable to the Council or to the Liturgy Constitution established during Vatican II which by the way has not really been implemented even to this day. The indiscriminate removal of Latin and Gregorian Chants from liturgical celebrations and the erection of numerous altars were absolutely not acts prescribed by the Council. With the benefit of hindsight, let us cast our minds back in particular to the lack of sensitivity shown in terms of care for the faithful and in the pastoral carelessness shown in the liturgical form. One need only think of the Church’s excesses, reminiscent of the [Iconoclastic crisis] which occurred in the [8th] century. Excesses which catapulted numerous faithful into total chaos, leaving many fumbling around in the dark. Regarding the arrest and release on bail of Archbishop-elect of San Francisco, Salvatore Cordileone, for DUI after having dinner with friends and his mother and while driving the latter to her home in San Diego, and his sincere apology, we have this to say: have you prayed for your bishop today? If you think your bishop, and the bishops of your region or country, are unseemly, then they are in great need of your prayers and sacrifices. If you think they are good and well-intentioned, then they need even more prayers and sacrifices, so they may persevere in their own personal purification, and in that of their particular Church. Miss Nellie Jane Gray, founder and president of the March For Life in the U.S., drew two American cardinals to her traditional Latin Requiem High Mass: Sean Cardinal O'Malley of Boston and Donald Cardinal Wuerl of Washington, D.C. 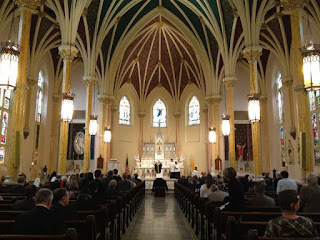 This writer was privileged to attend and sing Gregorian chant pieces with other men from the parish in the choir loft. A quartet of professional singers sang Father Tomás Luis de Victoria's Missa Pro Defunctis. Men from the parish were servers and MC. Other priests were in choir with the cardinals and distributed communion wearing black stoles. All clergy (including guests) in the sanctuary wore birettas. Cardinal O'Malley was expected ahead of time. He was a longtime friend of Miss Gray's, recalling how together they planned the first March in 1974. Cardinal Wuerl was a major surprise. As far as I am aware (please correct me if I am wrong, Pittsburgh TLM'ers), this was quite possibly the first public traditional Latin Mass he has attended since his seminary days in the 1960s. Thank you, Nellie! – that among the activities of the congregation for the doctrine of the faith must also be included the republication in the November 30, 2011 issue of "L'Osservatore Romano" of the text by then cardinal Joseph Ratzinger published in 1998 in a volume "On the pastoral care of the divorced and remarried." This republication – it is explained – was intended to "draw the attention of pastors" to that volume, "unfortunately little known," which reiterates the traditional Catholic position on the argument and in which, among other things, it is confirmed that the practice of the Orthodox Churches of admitting under certain conditions a second and third marriage after the failure of the first remains "unacceptable for doctrinal reasons." – that last year, the disciplinary office of the congregation for the doctrine of the faith opened 599 new procedures, 440 of them concerning "delicta graviora," and that the most numerous of these, 404 to be exact, are cases of abuse perpetrated by clergy against minors. With regard to this, the volume points out that "in the year 2011, with respect to the year 2010, the disciplinary office received fewer notifications," but that nonetheless "with respect to previous years (for example, the period of 2005–2009) the number of cases has risen considerably." Also in this area, moreover, the congregation for the doctrine of the faith submitted to the pope a request for the removal "ex officio" from the clerical state of 125 subjects, and for another 135 a request for dispensation from priestly obligations. 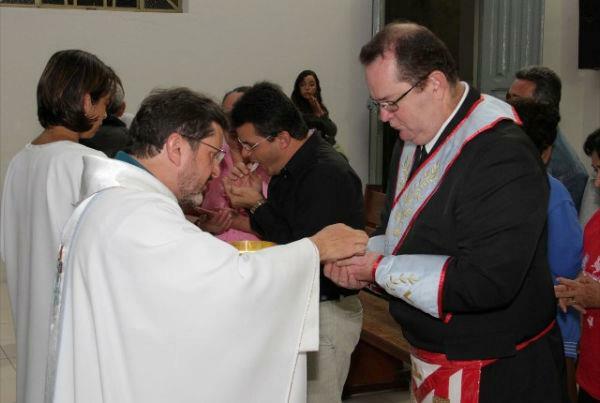 – that during the same period, the congregation for the clergy – for reasons other than "delicta graviora" – issued 540 certifications of dispensation from priestly obligations for 49 diocesan deacons, 26 religious deacons, 280 secular priests, and 185 religious. – that the congregation for divine worship, in addition to its ordinary administration, declares that "it is closely following the proposal of 'thematic homilies' in conjunction with the congregation for the doctrine of the faith and the congregation for the clergy," evidently with the intention of improving the content of preaching at Masses. – that the work of the pontifical council for legislative texts continues for the revision of some portions of the code of canon law, concerning questions of penal law, procedural law, matrimonial law, and patrimonial law, and relations between the code of the Latin Church and that of the Eastern Churches. The process for the reform of penal law turns out to be particularly advanced. – that while the examination is underway by the congregation for the doctrine of the faith into the Marian apparitions of Medjugorje, through an international commission of inquiry that met four times in 2011, the pontifical academy of the Immaculate, for which "the problem of the lack of academics is becoming even more acute," received many requests from prayer groups that "born from Medjugorje, have no point of reference in order to channel the grace of conversion obtained in that blessed place." The Societas Ecclesia Dei Sancti Joseph, a Filipino Catholic society dedicated to the Traditional Latin Mass and a member of Foederatio Internationalis Una Voce, has announced that the TLM has returned to the Dominican-run University of Santo Tomas in Manila. As previously announced, the evening of August 24, 2012 saw the Traditional Latin Mass being celebrated in public in the University of Santo Tomas (UST) for the first time since the liturgical reforms of Paul VI took effect. 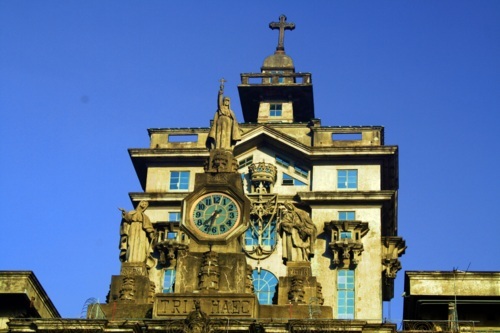 UST is the Philippines' oldest existing university and sole Pontifical University. It is also the world's largest Catholic university located in one campus in terms of the number of students (around 45,000 students in the Manila campus). 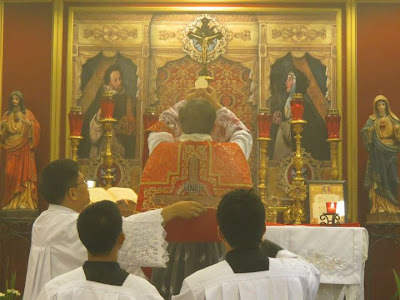 This surely ranks among the greatest achievements of the canonically-regular branch of the Traditional Latin Mass movement in the Philippines since it began in 1987. It was organized by students and faculty of this university, with training and other forms of assistance provided by Societas Ecclesia Dei Sancti Joseph (SEDSI). The Mass was offered in the St. Dominic Chapel in the 3rd floor of the Tan Yan Kee Student Center. The chapel could hold about 60-70 people maximum (including choir and altar servers) but the crowd in attendance -- far more than a hundred-strong -- greatly exceeded expectations, and spilled out into the surrounding corridors. Screens and projectors had to be used to allow the faithful who were in the corridors to follow what was happening inside the chapel. The vast majority of the attendees were students of the University. Most of the servers and the whole choir were also drawn from UST students -- all in their late teens and early twenties -- who had practiced for this occasion for the past several weeks. The Mass was offered by Fr. Michell Joe "Jojo" Zerrudo, priest of the Diocese of Cubao, Chaplain of SEDSI and celebrant of the daily TLM in Holy Family Parish, Roxas District, QC. He is an alumnus of the Central Seminary, one of the Philippines' two national seminaries, located in UST and run by the Dominican Fathers. In choir was Fr. Winston Fernandez Cabading OP, who was vital to the whole project of returning the TLM to UST. It is hoped that the Traditional Latin Mass will be offered monthly in UST. Plans are already being made for another Traditional Latin Mass in September, this time in a larger venue within the University. Should this push through, the City and Archdiocese of Manila (where UST is located) will once again have a regular Traditional Latin Mass for the first time since the First Friday Mass in the tiny chapel of the now-defunct Marian Center in Quiapo, Manila ceased sometime in 2010. UST will also become the second Filipino Catholic university (after the Ateneo De Manila University in Quezon City) and, not counting seminaries, the third Catholic institute of higher education in the Philippines (the first being La Consolacion College in Bacolod City) to have a regular TLM in its premises. More pictures of the event can be found at the original blogpost. Leghorn. Liturgical service is assured by the 'Institute Christ the King Sovereign Priest'. It may sometimes seem to a couple of readers that we enjoy reporting these things: we do not, we find no pleasure in it, it pains our hearts deeply. We actually saw this when it was first posted, and hesitated about mentioning it, but today our friends at Fratres in Unum asked us to make it known around the world, and we could not refuse their request. Saint Louis, King of France, went on a pilgrimage to visit the sanctuaries in the world. And having heard of the fame of the sanctity of Brother Giles, who was one of the first companions of Saint Francis, he determined in his heart to go and visit him in person; for which object he set out for Perugia, where the said brother then lived. He arrived at the convent-gate as if he had been a poor unknown pilgrim, and asked with great importunity for Brother Giles, without telling the porter who it was who wished to see him; and the porter went to Brother Giles, and told him there was a pilgrim at the gate who asked for him. But the Lord having revealed to Brother Giles that the pilgrim was the King of France, he left his cell in haste, and ran to the gate without asking any questions. They both knelt down and embraced each other with great reverence and many outward signs of love and charity, as if a long friendship had existed between them, though they had never met before in their lives. 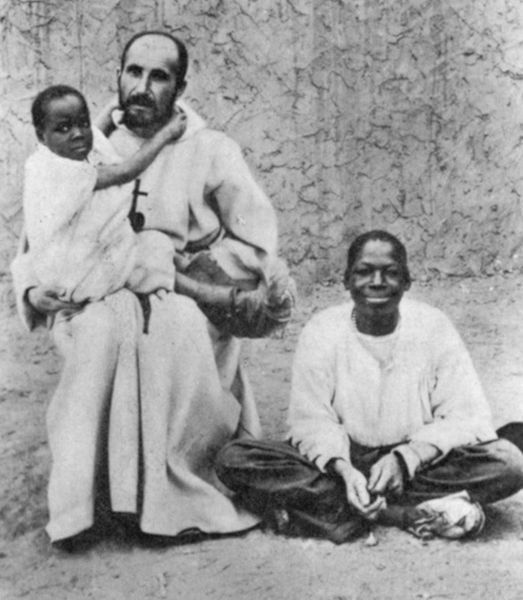 Neither of them spoke a word; and after remaining clasped in each other's arms for some time, they separated in silence, Saint Louis to continue his journey, and Brother Giles to return to his cell. As the king departed, a certain friar inquired of one of those who accompanied him who it was that had embraced Brother Giles, and he answered that it was Louis, King of France; and when the other brothers heard this, they were all sorrowful because Brother Giles had not spoken to him; and giving vent to their grief, they said: "O Brother Giles, why hast thou been so uncivil as not to say a word to so holy a king, who has come from France to see thee, and hear from thee some good words?" Brother Giles answered: "Beloved brothers, be not surprised at this, that neither could I say a word to him nor he to me; for no sooner had we embraced each other than the light of divine wisdom revealed his heart to me, and mine to him; and by a divine operation we saw into each other's hearts, and knew far better what we had to say than if we had explained in words that which we felt in our hearts. For so imperfectly the tongue of man reveals the secret mysteries of God, that words would have been to us rather a hindrance than a consolation. Know, then, that the king went away from me well satisfied, and greatly comforted in mind." 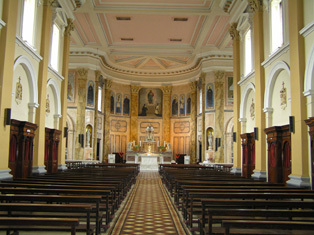 With the help of numerous friends from Ireland, the United States and Continental Europe, the Church of the Sacred Heart at the Crescent in Limerick, also known as the Jesuit Church after its first builders and long-term occupants, was recently purchased by a young priestly community called the Institute of Christ the King Sovereign Priest. The church and adjacent building, sold to a developer some years ago, had stood vacant for six years and was in danger of falling into ruin. Therefore many people from Limerick and other parts of Ireland were happy to help this Institute bring the Church of the Sacred Heart and its residence back to life. A young community of members of the Institute of Christ the King will very soon move into the attached residence in spite of its rather poor condition, and the church will serve for the time being as its chapel. With the permission of the Bishop of Limerick, the Institute of Christ the King has had a residence in the diocese since 2009 and offers Mass every Sunday in the Extraordinary Form at St. Patrick's Church, whilst also working in a few neighbouring dioceses. Founded in 1990, the Institute is a Roman-Catholic Society of Apostolic Life of Pontifical Right in canonical form. The 64 priests of the Institute work all over the world to promote the spiritual Kingship of Christ. A special emphasis is laid on the harmony between faith and culture, and thus the young community has acquired a reputation for promoting the arts, especially sacred music and architecture. This experience will serve to restore the Church of the Sacred Heart to its classical beauty and make it available once more as a point of reference for the cultural life of Limerick. The following notice is from the website of the parish of St. Mary, Mother of God, the home of the Traditional Latin Mass in Washington DC. 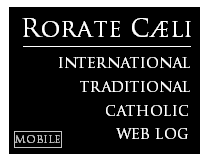 Emphases are by Rorate. Nellie Gray's Funeral mass will be a Traditional Requiem. The choir will sing Tomas Luis de Victoria: Missa Pro Defunctis. It will take place at St. Mary, Mother of God Parish in Washington, D.C., on Friday, August 24, 2012 at 11:00am. Cardinal O' Malley will be present for the Mass in choir. St. Mary's is located in Chinatown at 727 5th Street NW, Washington, DC. There is limited seating in the church so please plan accordingly. Friends may call at the church to pay their respects on Thursday August 23, from 6:00 to 9:00pm. There will be a Vigil Service at 7:30pm on Thursday, presided over by Fr. Alfred Harris, Nellie's pastor, followed by a eulogy delivered by Pastor Luke Robinson of the Quinn Chapel AME Church in Frederick, Maryland. Pastor Robinson is a long-standing supporter of the March for Life and a devoted friend to Nellie. There will also be a visitation period on Friday morning from 10:00-11:00am, just prior to the funeral mass. In lieu of flowers, the Board of Directors suggests offering a memorial to the Nellie Gray Legacy Fund, which you may link to here. We have also opened the link to our Annual Report Messages page for those who would like to remember Nellie in a written tribute. The Board of Directors, alongside Nellie's many friends in the pro-life community, are in the process of planning a special memorial service in Nellie's honor at the Basilica of the National Shrine of the Immaculate Conception in Washington, D.C. Here at Rorate, we understand that reporting on tradition means more than just the latest news from Rome, bishops, promotion of the traditional liturgy, etc. We try to report on everything that helps Catholics become more steeped in tradition as a whole, whether it's learning about the Traditional Mass, traditional music, traditional theology, and more. Many Catholic families across the world are now or will shortly be starting another year of homeschooling. And, sadly, as if the task in front of them isn't taxing enough, they will be hit from all sides: homeschooling is wrong; your children will be anti-social; you can't keep them in a cave; they're too young to start homeschooling, just relax; and on and on. We urge all parents, whether already homeschooling or only thinking about it, just starting out or long-time veterans, to listen to this podcast by a very learned, traditional priest. Please take the short 10 minutes and listen -- and listen to again, over and over, when the going gets tough. Conformity to God's will is always the right thing -- but no one said it's ever the easy thing. Sometimes we need to be reminded of that truth. CLICK HERE to listen and consider forwarding this to all your homeschooling friends. 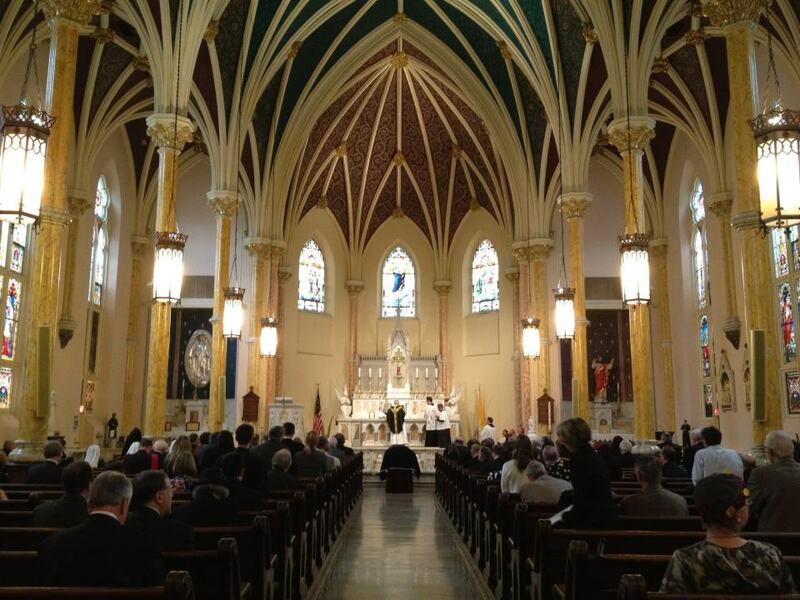 Ordination of female deaconesses in Chicago: did Cardinal George raise the issue in Rome? He promised to do so, according to the Tribune. Lynne Mapes-Riordan, of Evanston, hopes women will one day serve as Roman Catholic deacons. After 800 years [! ], she could be one of the first. Growing up, she never gave ordination a second thought. But then she learned that, unlike the church's verdict barring female priests, the question of female deacons has never been resolved. That open question has led Mapes-Riordan, 49, and fellow parishioners at St. Nicholas Catholic Church in Evanston to seek an answer. If the church finds in favor of female deacons, she could become one of the first women ordained [sic] since the 12th century [since Pentecost]. After meeting last winter with members of the parish, including Mapes-Riordan, Chicago's Cardinal Francis George reportedly promised to raise the question in Rome during his visit earlier this year. Let us never forget to whom the merit belongs: if "deaconesses" are ever "ordained", we must do justice and call it The Vangheluwe Reform, in honor of confessed nephew-molester Bp. Roger Vangheluwe, who led the charge in favor of this move. In fact, however, due to the inescapable fact that what has been received from the Lord from the foundation of the Church cannot be changed at will, women cannot be in ordained ministry - because the degrees of Holy Orders cannot just be separated as if they were the layers of an onion... To understand why, see this interesting interview with the current Prefect of the Congregation for the Doctrine of the Faith, Archbishop Müller - he has written extensively on this matter. Bishops against constitutional declaration of their nation as "Christian"
Rather do We pledge to you anew the renewed efforts of all Our Catholic children in the building up of the Christian Nation of Zambia, by their ever more generous contributions towards the religious, social and cultural progress of its citizens. [Aug. 20, 2012] Lusaka (Agenzia Fides) - The Bishops of Zambia hope that the current process of constitutional revision is successful after the previous three unsuccessful attempts to write a new Constitution. In a document sent to the technical committee in charge of writing the new Constitution (which was sent to Fides Agency), the Bishops present some contributions which in their view should become part of the new Charter. First, it rejects the introduction of rules that provide for death penalty and abortion. "In the preamble, the declaration that Zambia is a Christian nation should be omitted" the document states. "That is because - explain the Bishops - a Country cannot practice the values and precepts of Christianity, by a mere declaration. The principle of separation between State and Religion must not be lost. If Zambia is a multi-religious Country, a fact that was recognized in the preamble of the first draft of the Technical Committee, to say that Zambia is a Christian nation would be in contradiction with this fact." It is now easy to find traditional Latin Mass videos in every form -- low, sung, sung with incense, solemn high, requiem, pontifical and so on. Sancta Missa has several of these here. The quality is often outstanding. Other (publicly administered) sacraments, though, are still difficult to find on video, such as traditional baptisms and nuptial Masses. Many parents, spouses-to-be and priests are in need of such videos as they plan baptisms and weddings. To that end, I invite readers to my wedding video, uploaded by my wife today. It is a very simple turn-on-a-camera operation, so please forgive the video/audio quality. But for those interested in seeing a traditional Latin order of marriage and solemn high nuptial Mass in one complete video, complete with three priests (with an additional priest hearing confessions before Mass), twelve servers, a men's schola, a male choir and two organists, you may watch/listen here. Below, please find the sixty-first posting of enrolled souls of the Rorate Caeli Purgatorial Society. There are so many ways to help the Poor Souls -- but often times finding the inspiration to do so is difficult with all the problems we face that are right in front of us on earth. If you have trouble finding compassion for the Poor Souls, of if you simply want a greater understanding of what Purgatory is and what it's like to be there, I highly recommend the very thrilling and enlightening book Hungry Souls: Supernatural Visits, Messages, and Warnings from Purgatory (TAN Books). The stories of the souls' visitations to earth are very moving. Once you read this book, you'll never be lukewarm again about helping the souls. How to enroll souls: please email me at athanasiuscatholic@yahoo.com and submit as follows: "Name, State, Country." If you want to enroll entire families, simply write in the email: "The Jones family, Ohio, USA". Individual names are preferred. Be greedy -- send in as many as you wish and forward this posting to friends as well. 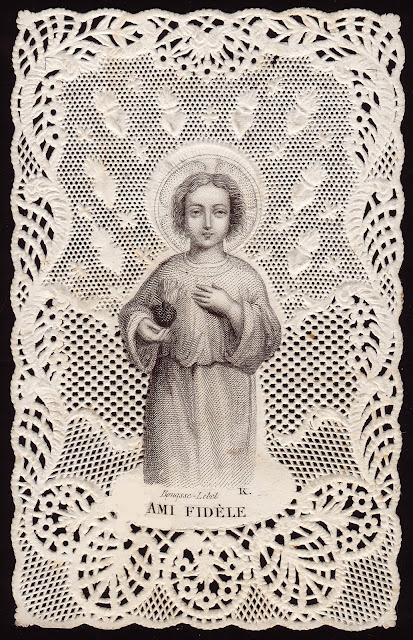 There are other holy joys which the just man finds when, freed from evil, he seeks the good with his whole heart. The man of action, who allows himself to be carried away by pride, declares that happy is that man who lives and acts as he pleases, who is not subject to anyone, and who imposes his will on others. Christ says: "Blessed are they that hunger and thirst after justice: for they shall have their fill." Justice, in the broad sense of the word, consists in rendering to God what is due Him, and then for the love of God giving also to the creature what is due him. In recompense, the Lord gives Himself to us. This is the perfect order, in perfect obedience that is inspired by love which enlarges the heart. Blessed are they who desire this justice, even to the extent of hungering and thirsting for it. In a certain sense, they will be filled even in this life by becoming more just and more holy. This is a blessed thirst, for Christ says: "If any man thirst, let him come to Me and drink. He that believeth in Me, as the Scripture saith: Out of his belly shall flow rivers of living water." That we may keep this thirst when sensible enthusiasm falls away, and preserve this hunger and thirst for justice in the midst of contradictions, hindrances, and disillusions, we must receive with docility the inspirations of the gift of fortitude. This gift prevents us from weakening, from letting ourselves be disheartened, and it lifts up our courage in the midst of difficulties. St. Thomas says: "The Lord wishes to see us hunger and thirst for this justice to such an extent that we can never be satiated in this life, as the miser never has enough gold." These hungering souls "will be satiated only in the eternal vision, and on this earth in spiritual goods. . . . When men are in the state of sin, they do not experience this spiritual hunger: when they are free from all sin, then they experience it." In a Christian's action this hunger and thirst for justice should not be accompanied by a bitter zeal toward the guilty. Therefore Christ adds: "Blessed are the merciful: for they shall obtain mercy." In our life, as also in that of God, justice and mercy should be united. We cannot be perfect without going to the help of the afflicted, of the sick, as the good Samaritan did. The Lord will give the hundredfold to those who give a glass of water for love of Him, to those inviting to their table the poor, the crippled, the blind, who are mentioned in the parable of the guests. The Christian should be happier to give than to receive. He ought to pardon offenses, that is, to give to those who have offended him more than is due them; he ought to forget insults and, before offering his gift at the altar, go and be reconciled with his brother. The gift of counsel inclines us to mercy, makes us attentive to the sufferings of others, makes us find the true remedy, the word that consoles and uplifts. If our activity were frequently inspired by these two virtues of justice and mercy and by the gifts corresponding to them, our souls would find even here on earth a holy joy and would be truly disposed to enter into the intimacy of God. Father Blake, as usual, says all that must be said in the sick affair in which Western commentators (including many supposed "Christians") applauded the desecration of the largest church in Moscow, the (Russian Orthodox) Cathedral of Christ the Savior, or at least thought it should be left unpunished because they disagree with the current Russian government. In our own lifetime, or in that of our parents or grandparents, the Bolsheviks had already invaded and obliterated the building - and now anti-government protesters, who have the wide spaces of the largest nation on earth to protest, mocked Christianity and the Mother of God inside a church, and thought they could get away with it. The desecration of Christ the Savior Cathedral by the Bolsheviks and its subsequent destruction is not something that features much, well actually at all, in the news stories about [the group]. It was the dominant religious building in Moscow before the Revolution, its obliteration was the great triumph of atheism. The intention was to build a monumental "People's Palace" on the site but the plans never materialised, instead a swimming pool was built instead. The present was built after the fall of Communism. For Russian believers this Cathedral symbolises the very heart of Christian Russia, reborn after the murder of countless of believers and the wholesale destruction of religion in Russian. The demonstration against Putin was one thing but the mockery of religion in the Cathedral was reminder for believers of the type of thing organised by the persecutors within living memory, it was spitting in the face of the holy Russia. Can the fatuous western "supporter" of [the group] understand the nature of their demonstration? And if these secular (and even some Catholic) commentators think this desecration should have been left unpunished, then they should just try to mount the same kind of protest in a mosque and see the gentle reception they would get... It is just too easy to mock Christianity: congratulations to the Russian Courts. All Christians must stand up together against anti-Christian acts, whatever their motivation may be. (Augustinus): Those thinking that this is all about the President of the Russian Federation and not about mocking Christianity, or that it affects only the Eastern Orthodox and therefore should be of no concern to Catholics, should reflect on what the Ukrainian feminist group "FEMEN" did today in Kiev, Ukraine to show their solidarity with [the group]: they cut down a cross with a chainsaw -- not just any cross, but a crucifix that commemorates the victims of Stalinist oppression: Femen Activists Cut Down Cross In Kiev. It should be noted that the report from Radio Free Europe / Radio Liberty is devoid of any signs of disgust for this desecration of the cross, or of any acknowledgment of the offense this act caused to believers. LifeSite News also pointed out last week (Western media concealing facts about female rock band’s desecration of Russian cathedral) that the actual "performance" inside Christ the Savior was heavy with ridicule against the sacred, and directly supported so-called "gay rights". (Augustinus): Update: Radio Free Europe / Radio Liberty positively compares the desecration of Christ the Saviour Cathedral with the 1989 attack by homosexualist activists on St. Patrick's Cathedral in NYC, during which the Blessed Sacrament was also desecrated: Decades Before [Russian group], U.S. Group Protested Catholic Church -- And Got Results. Some Eastern European sources are also pointing out that the crucifix that was destroyed yesterday in Kyiv was Greek Catholic in provenance. Yes, Bishop Roger Vangheluwe, emeritus of Bruges (and amazingly still not laicized), who resigned over having abused his own nephews, is now accused of quite more recent episodes of abuse of boys, well into the 1990s. We will not speak about this, it is easy to criticize bishops when they are down. November 21, 2003 ... The Belgian bishops are in Rome this week for their ad limina visit, and one of them brought a rather unusual subject to put on the table: the ordination of women to the diaconate. In 2002, the International Theological Commission, the body that advises the Congregation for the Doctrine of the Faith, examined the question of women deacons. While it did not reach a definitive conclusion, it seemed to lean heavily against the possibility. First, it held that deaconesses in the ancient Church “cannot be compared to the sacramental diaconate” today, since there is no clarity about the rite of institution that was used or what functions they exercised. Second, it said, “the unity of the sacrament of orders” is “strongly imprinted by ecclesiastical tradition, the teaching of the Second Vatican Council and the post-conciliar magisterium,” despite differences between the episcopacy and priesthood, and the diaconate. That result built on a September 2001 notice from three Vatican offices rejecting lay-led programs ostensibly preparing women for future admission to the diaconate. “The church does not forsee such ordination,” the notice said. Despite that, however, Bishop Roger Vangheluwe of Bruges, Belgium, is carrying the issue to Rome. Vangheluwe has long been concerned with women’s issues. In his diocesan newspaper Ministrando in October 2002, Vangheluwe appealed to priests and faithful of his diocese “to include more women in the administration, the organization and the basic movements inside the Church.” He asked parishes and church institutions to hold an “internal audit,” and offered a questionnaire. He noted that while Pope John Paul II has ruled out women priests, that leaves open the possibility of women deacons. He asked for comments to be sent to him. By the beginning of March 2003, Vangheluwe said he got 500 responses from individuals and groups, and even from other dioceses. Some 86 percent were in favor of the diaconate for women. Vangheluwe vowed to relay this sentiment during his meetings this week. I sat down with him at the Belgian College on Nov. 20 to talk about why he supports female deacons. First, Vangheluwe said, is the pastoral desire to incorporate women more fully into the life of the church. Second is a theological need to focus the diaconate more on service. In his diocese, Vangheluwe said, he has 80 deacons, who function as “little priests,” absorbed in liturgical roles. He would like to emphasize the service dimension, and said there’s no reason a woman can’t play that role. In fact, Vangheluwe said he would favor a separation between the priesthood and the diaconate, so that in the ordinary course of things priests would not first be ordained deacons. Thus the distinction between the sacramental and service roles would be clear. The bishop would be both priest and deacon. “As bishops, we have to say what we think,” Vangheluwe said. Vangheluwe is not the only bishop to have raised the issue. In 1994, for example, Cardinal Carlo Maria Martini of Milan said that the moment had arrived for “serious consideration” of the question of whether women could be admitted to the diaconate. Today I can publish the 10th Position Paper, on the Eucharistic Fast. By contrast - and I think I can say this without offending anyone - the one-hour fast is not serious. The motivation for it is obvious enough, to make things easier for the Faithful, but it no longer tells us that the reception of Holy Communion is something to be prepared for with care, and undertaken with fear and trembling. It does not accord with the seriousness implied by the ancient Mass. Since the decision has been taken by the Holy Father to treat the Traditional Latin Mass, from a legal point of view, as a 'form' of the same Rite as the Novus Ordo, rather than as a separate Rite, it does not make sense to argue for a different, binding discipline for the Eucharistic Fast for Catholics attending the TLM, than for Catholics attending the Novus Ordo. Within this context, we must argue for a revision of the discipline for all Catholics of the Latin Rite. And it seems to us that this is an opportune moment to do just that. This paper is available as a pdf here; the full set can be dowloaded from here. The next paper, on the Extraordinary Form and Western Culture, will be published on 15th September. 1 As well as issues pertaining specifically to the Extraordinary Form of the Roman Rite, in respects in which it differs from the Ordinary Form, the topics of these papers include those which, at least in principle, apply to the Ordinary Form (such as Liturgical Orientation, or the Manner of Receiving Communion), or which apply to the Ordinary Form to some degree (such as Silence, or Gregorian Chant). 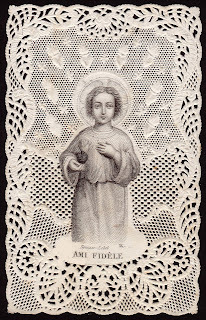 In this paper we address something which is connected with the special character of the Extraordinary Form, but which applies to all Catholics of the Latin Rite by virtue of Canon Law, namely the Eucharistic Fast. 2 Tertullian tells us that the Blessed Sacrament is taken ‘before all other food’. A fast from midnight is implicit in the practice of celebrating Mass before dawn, which became established in the second century, and this fast became widely established, although in the Middle Ages much longer fasts were often enforced, not only from food and water, but from marital relations. The fast was not required of the infirm. Although contrary to the example of the Last Supper, feeding of the fasting Faithful is suggested by the strongly Eucharistic typology of the Feeding of the Five Thousand. 3 The frequency of reception by the Faithful seems to have declined drastically from the 4th Century, despite periodic exhortations to the contrary. A decisive change came with Pope St Pius X, under whom a decree of the Sacred Congregation of the Council condemned lingering Jansenist errors on the subject and clarified the conditions for fruitful reception. Pope St Pius X also encouraged a much earlier time for First Communions, and introduced more generous dispensations for certain difficult circumstances. Pope Pius XII introduced a fast of three hours, which was not broken by ‘natural water’ (i.e. 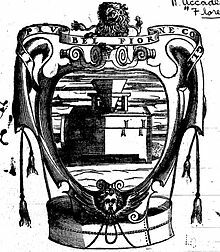 water without additives), at first under various conditions in 1953, and then as a general discipline in his Motu Proprio Sacram Communionem (1957), with generous provision for the ‘infirm’. 4 In 1964 Pope Paul VI reduced the fast to one hour, to be calculated from the time of reception, for both priests and faithful; this rule was reiterated in the 1983 Code of Canon Law. It is unfitting to take part in any sacred function without holiness. Assuredly, therefore, the more that Christians perceive the sacredness and divinity of this heavenly sacrament, the more must they take every care not to come to receive it without reverence and holiness, especially since we have the frightening words of St. Paul: ‘For those who eat and drink unworthily, eat and drink damnation to themselves, not discerning the Lord’s body’ (1 Cor 11:29). Those wishing to receive communion must be reminded of St. Paul’s command: ‘Let a man examine himself’ (1 Cor 11:28). a lack of Eucharistic ‘hunger’ and ‘thirst’, which is also a sign of lack of adequate sensitivity towards the great sacrament of love and a lack of understanding of its nature. Sometimes, indeed quite frequently, everybody participating in the eucharistic assembly goes to Communion; and on some such occasions, as experienced pastors confirm, there has not been due care to approach the sacrament of Penance so as to purify one’s conscience. This is the result of a lack of ‘the good quality of sensitiveness of Christian conscience’. Pope Benedict XVI has also lamented the second attitude. 8 Both Bl. John Paul II and Pope Benedict XVI, in the passages just noted, go on to discuss the reception of Communion in the Hand, which they link to the problem of a lack of reverence towards the Blessed Sacrament. This issue is discussed in another paper. Our concern here is with the possibility of addressing the problem they identify by another means: by reconsidering the discipline of the Eucharistic Fast. 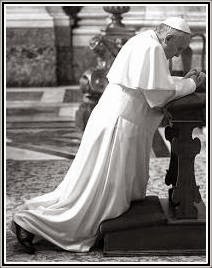 9 Requiring an extended period of fasting before the reception of Holy Communion is a natural and traditional way to underline the great significance of the Blessed Sacrament, just as Pope Benedict XVI talks of marking it with ‘an exclamation point’ by his own practice of giving it only on the tongue, to kneeling communicants. It would oblige all the Faithful to think more seriously about receiving, requiring forethought, and on occasion some limited, but symbolically expressive, sacrifice. Furthermore, while it will on occasion require some practical adjustments (to the timing of services or meals, for example), it does not present the same psychological problem at the moment of reception as would withdrawal of permission for Communion in the Hand. 1 A fast from midnight is the practice most hallowed by centuries of observance, but its reimposition today would clearly create practical difficulties. These would particularly affect those attached to the Extraordinary Form, which is frequently offered at less than ideal times, when priests or churches happen to be free. Instead, we would like to suggest the restoration of the discipline established by Pope Pius XII, of a three hour fast. 1 The decline in the frequency of reception of Holy Communion noted in §3 resulted from a deeper appreciation of the supernatural reality of the Blessed Sacrament, coupled with the development of penitential discipline. The Eucharistic Fast was also more emphasised, but these fasts were frequently required before attendance at Mass, at least on Sundays and Feasts, even if Holy Communion was not received, so they posed no additional obstacle to reception. More frequent Confession offered a solution to concerns about the worthiness of communicants, but this required a degree of infrastructure and catechesis which took time to establish. 1 Pope St Pius X saw the greatest obstacle to frequent Communion, in the early 20th Century, not as the midnight fast, but in confusion about the spiritual conditions needed for a worthy reception. Pope Pius XII’s purpose in changing the rules was not so much to make the fast easier, but to make Mass at different times of day possible, facilitating its incorporation into a working or a school day. 1 While the demandingness of Pope Pius XII’s discipline should not be exaggerated, it would mean that, from time to time, for practical reasons reception would be difficult or impossible for some people. This would itself be useful in counteracting the tendency, noted by both Bl. Pope John Paul II and Pope Benedict XVI as noted in paragraph 7 above, of members of the Faithful approaching Holy Communion just because everyone else is doing so; indeed, to fail to go forward to receive Holy Communion risks drawing attention to oneself, or even of giving scandal. Those unable to receive would instead make a ‘Spiritual Communion’, a practice encouraged by Bl. Pope John Paul II, who quoted St Teresa’s praise of it, and again by Pope Benedict XVI, who asked the participants at the Papal Mass at World Youth Day Madrid to make a Spiritual Communion when general distribution was impossible. This practice fosters the ‘hunger and thirst’ for the Eucharist Bl. Pope John Paul II so desired. 1 Although it might seem a radical proposal, the restoration of the former discipline would be a relatively simple means of underlining the value of the Blessed Sacrament, and the importance of preparation for it. The current problem of casual attitudes towards Holy Communion demands comprehensive catechesis, and the three-hour fast would itself be a form of catechesis, something which emphasised the supernatural reality of the Blessed Sacrament, perhaps more forcefully than a merely verbal exhortation. 1 It should not be assumed that increasing the onerousness of the discipline of the Church will lead to a rejection of that discipline, or even lapsation. A serious form of discipline indicates the seriousness of the subject of the discipline, and more demanding religions have frequently attracted more adherents than laxer ones. A voluntary adoption by members of the Faithful of a more rigorous fast would not have this catechetical power; nor would it gain merit as an exercise of obedience. A public campaign to encourage such a voluntary practice might even invite accusations of Phariseeism. 1 It must be said finally that the current discipline, of a fast of one hour before reception, scarcely impinges on the Faithful; as such it is less likely to be remembered or taken seriously, and insisting upon a trivial obligation seems less than reasonable. To restore a proper respect for the Eucharist, an obligation to fast which demands respect is surely necessary.